Getting there: it’s (from the Netherlands) quite a drive to our destination and a lot of euros for the French highways. 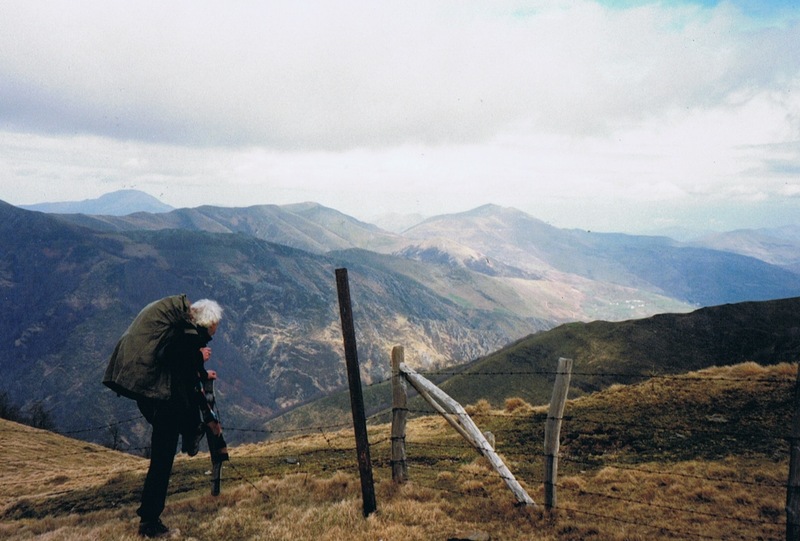 We walked a part of the Grande Randonnée 65, the Pyrenees-cross, through the Spanish and France Basque Country, also known as the Chemin de St.Jacques, the Camino, St. Jacob’s way, the pilgrim-route from and to Santiago de Compostela …...….The route is, especially in the Spanish part, well marked, including all the pilgrim-symptoms and curiosities. Maps: We had a pilgrim guide and a GR65 map, IGN. 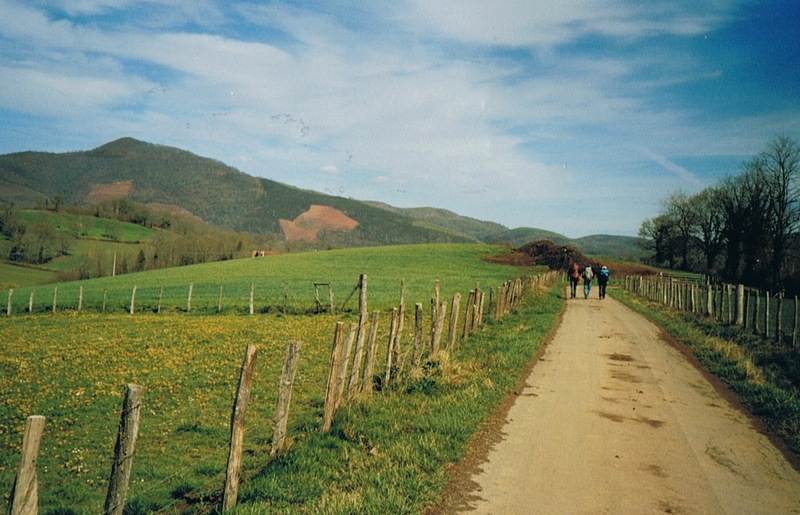 Walking guide: Camino de Santiago | John Brierly (9781844095896), St. Jean - Roncesvalles - Santiago de Compostela. 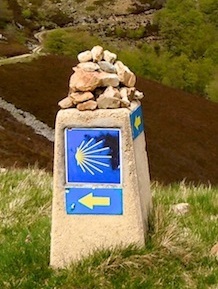 And/or the map of the Camino Francès, the part through Spain North and Santiago de C.
Accommodation: Plenty, with and without the pilgrims, at the farm, a Gite d’ étappe, a castle, the hotel, the Gites ruraux, whatever you want (to pay) . 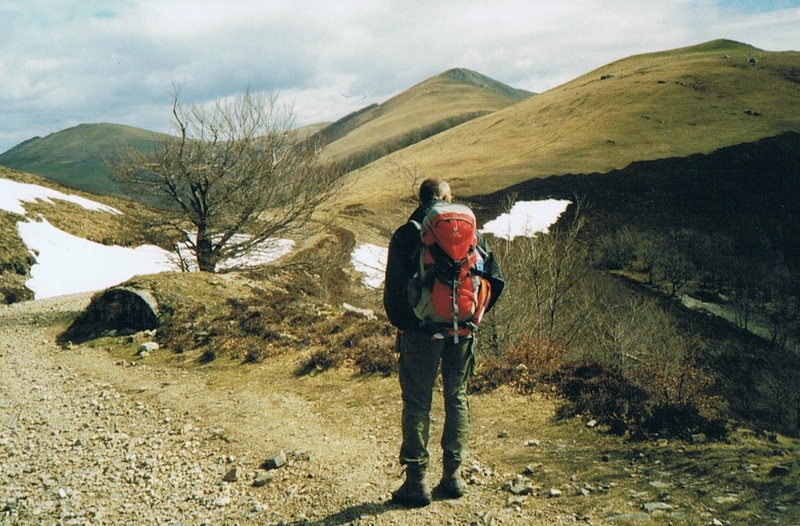 Height: 120 tot 1429 m.
Easter 2005: a part of the GR65, the Pyrenees cross.We made the crossing via the route Napoléon (GR65). 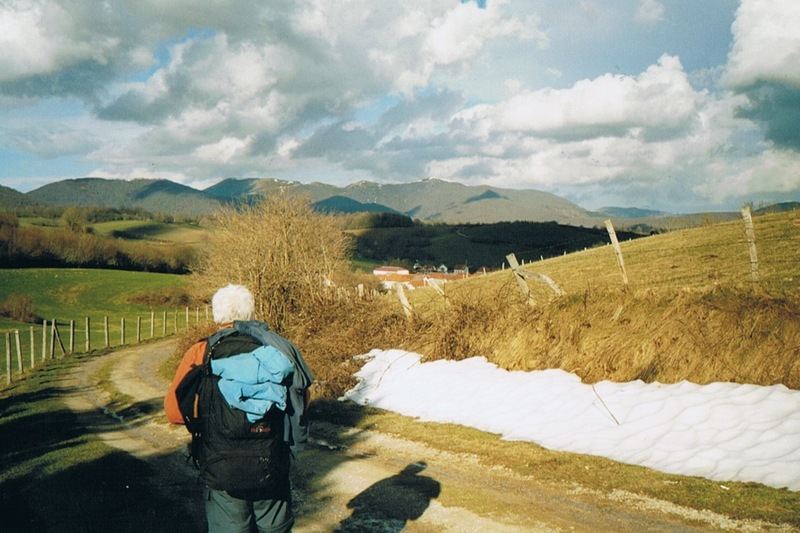 On trail: At Easter melting snow in the mountains on height, fine Basque villages. 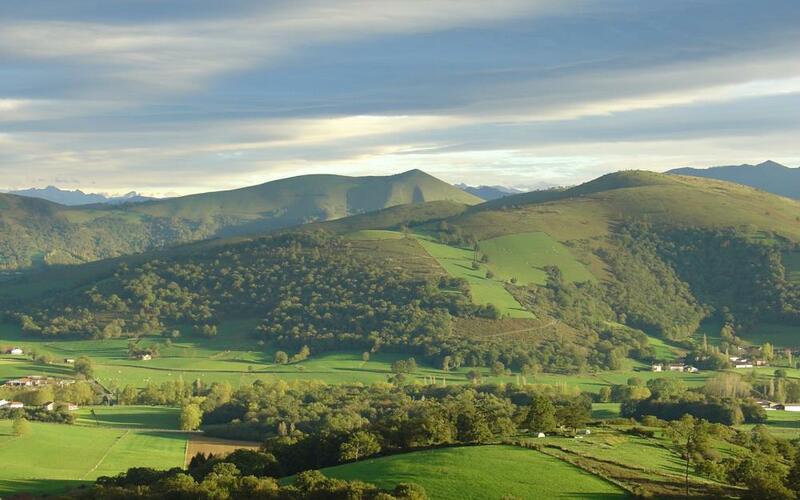 Roncesvalles, a village with only 10-30 inhabitants but with beautiful buildings with ditto stories and histories. An Augustinian monastery from the 12th century and a Gothic pilgrim church. 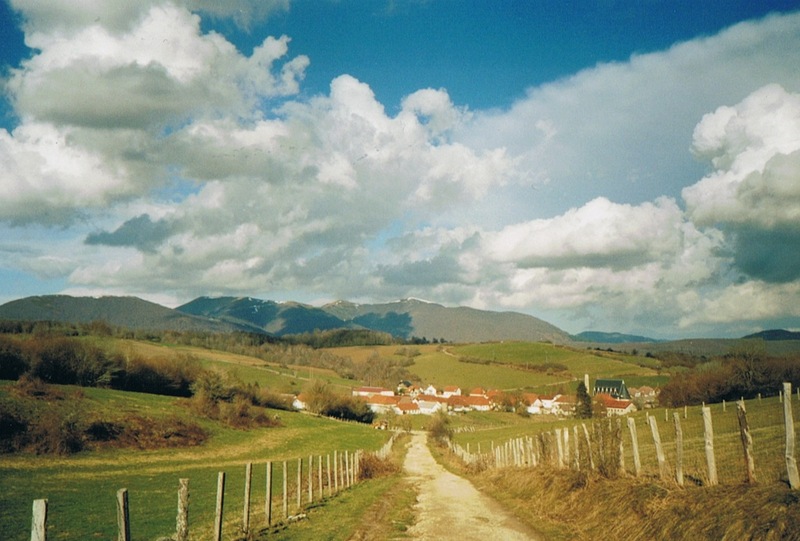 In or near this village a famous battle was fought between the Basques and Charlemagne's army, a few hundred years earlier. Where a certain knight Roldan, on which the song of Roland is based, took part. A chain of betrayal, struggle, heroism and peace. Nothing new under the sun. Then sets his lips and blows it with great force. They hear it echoing full thirty leagues. King Charles and his companions hear it sound. The king declares, "Our men are in a battle." 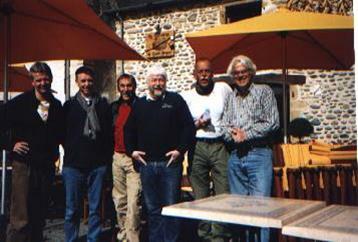 The old town center of St.Jean Pied de Port, with very bad pizzas.....terrible. How to earn money from pilgrims. A first indication that service, friendliness and hospitality are not as good in France as in Spain. At least: that's what we think. 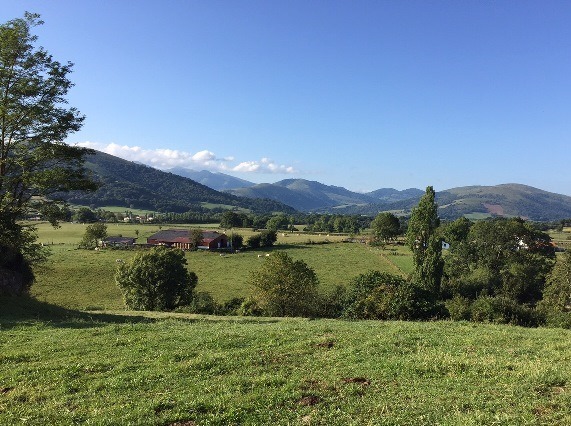 The hills near Ostabat, the castle in Navarrenx - a bastide - and - still going down - green meadows, sheep, farmsteads…..in the hilly French-Basque landscapes.